– Enhanced damage and weather effects, and much more. 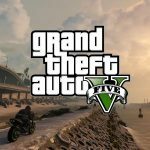 Grand Theft Auto V for the PS4, One and PC will also feature enhanced radio selections, with over 100 additional new songs and new DJ mixes from returning DJs across the game’s 17 radio stations. All players who pre-order the game will also receive $1,000,000 in-game cash to spend across Grand Theft Auto V and Grand Theft Auto Online. A host of new, exclusive content also awaits for players returning from the PS3 and 360 versions including rare versions of classic vehicles to collect from across the Grand Theft Auto series such as the Dukes, the Dodo Seaplane and a faster, more manoeuvrable Blimp; activities, including wildlife photography; and new shooting range challenges, new weapons and more. Enhancements to Grand Theft Auto Online include an increased player count, with online play now for up to 30 players on the PS4 and One. All existing gameplay upgrades and Rockstar-created content released since the launch of Grand Theft Auto Online will also be available for the newer machines too, with much more to come.